"Jeff Janis #83 of the Green Bay Packers is tackled by Tanard Jackson #36 of the Washington Redskins during a kick-off return in the first quarter during the NFC Wild Card Playoff game at FedExField on January 10, 2016 in Landover, Maryland." Playoffs are here and not everyone makes it to the Super Bowl. An exciting run for the Washington Redskins - they found themselves looking to continue winning in hopes of making it to another round of the playoffs. 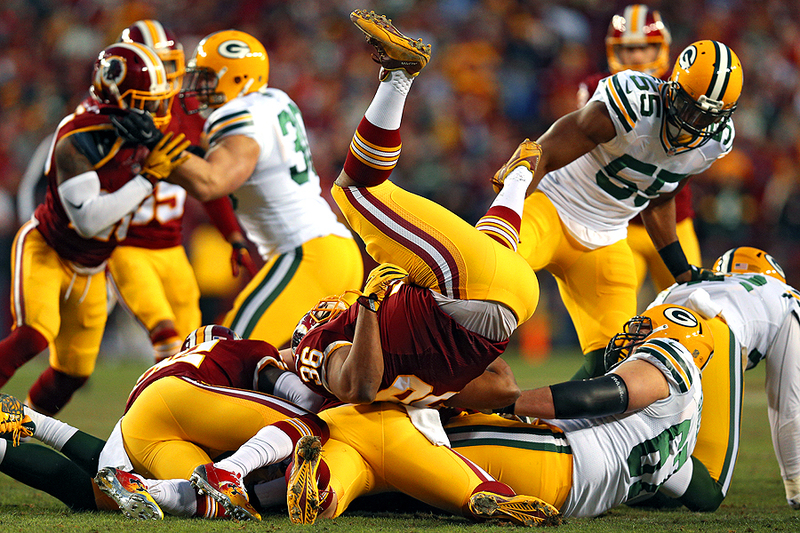 Unfortunately, the Green Bay Packers decided they didn't want their season to end yet, winning the NFC Wild Card Playoff game on the Redskins turf. A close game at half turned into a lopsided battle, eventually ending the Redskins hopes at a Super Bowl run. As the action continues, I think everyone is excited to see who will meet in San Francisco.